In this week's episode I chat with travel and lifestyle blogger, Helene Sula of HeleneInBetween.com. 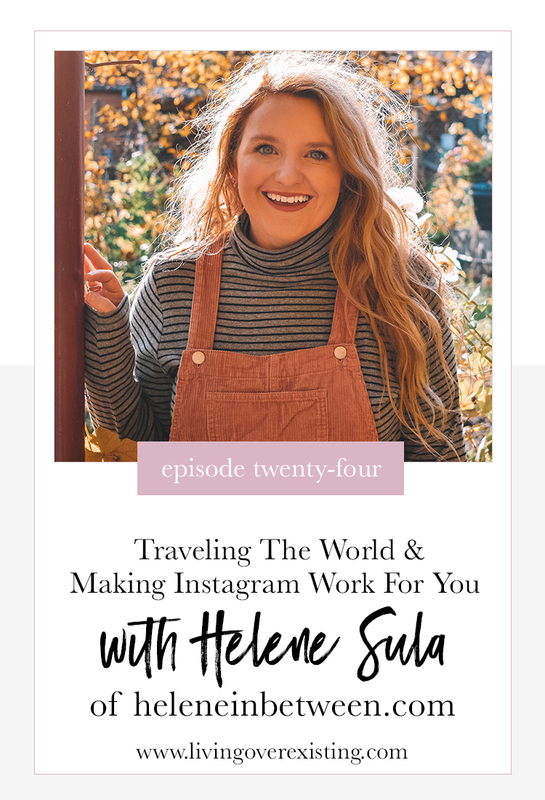 I have followed and been a fan of Helene's website since everyone was just blogging for fun (and selling sidebar ads to other bloggers) and have enjoyed seeing her turn her blog into a business that not only allowed her to quit her job but also travel the world! We chat about the moment she decided to turn her blog into a business, how her and her husband dropped everything to move to Germany (and how they were featured on an episode of House Hunters International), how she has leveraged Instagram to grow her brand and more!